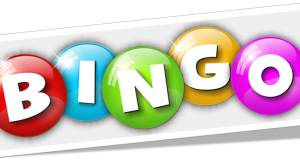 Rotary Bingo is on Thursday, April 4th at St. Anthony’s Hall (Catholic Church) – All proceeds go towards the student exchange program. Have fun and support your community at the same time! Doors open at 5PM; 6:30PM early bird; 7:00 PM regular games. Bingo packs start at $15!